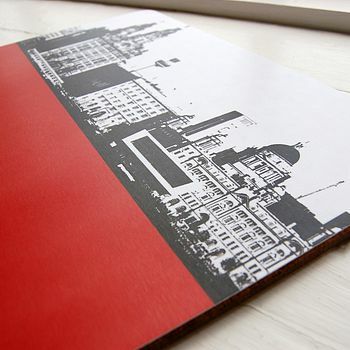 Art and homeware designed and made in the UK. By designer Jacky Al-Samarraie. 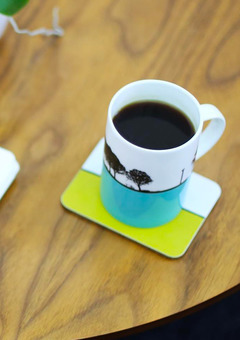 Established in 2007, The Art Rooms has published an award winning range of designs & products, including prints, greeting cards, bone china mugs, melamine tableware, cushions and notebooks. 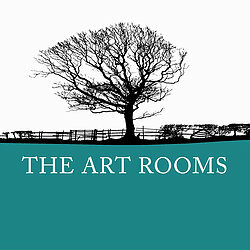 As a British design company based in Yorkshire, The Art Rooms proudly manufactures all products in the UK to support local manufacturers and the environment. We aim to keep the smallest distance from where we design in our studio in the historic Salts Mill in Saltaire to where we manufacture our products. Our bone china mugs are manufactured in a pottery in Staffordshire, and the paper used for our greeting cards comes from the Lake District. Our desire to work with skilled local craftsmen also helps bring to life our belief that products that are made well last longer and help the environment since you don’t have to replace items as often. Founded by award winning British designer, Jacky Al-Samarraie. 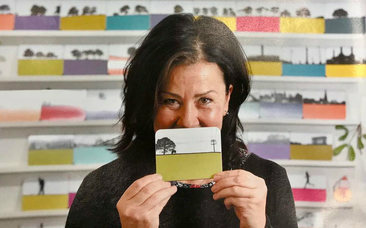 Founder and designer Jacky Al-Samarraie’s graphic style is recognisable across the whole product range at The Art Rooms, with her signature Landscapes being her most acclaimed series. 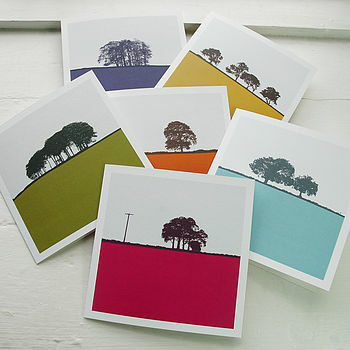 The simplicity of the Landscape range and use of bold block colours, makes them unique and immensely popular. Nature has always been a strong influence in her work, as much as traditional printing methods such as letterpress. 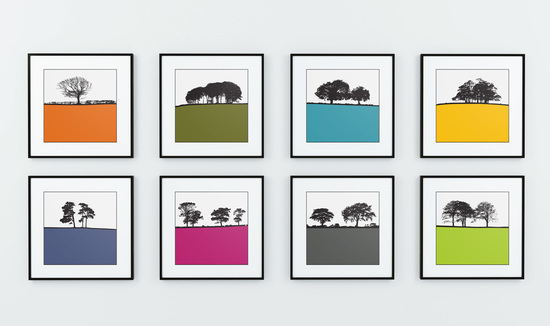 "Beautiful set of cards - framed and hanging in my home. 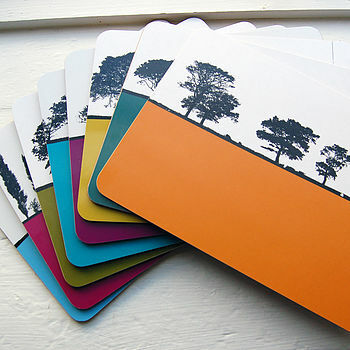 Subtle colour and minimalist style really appealed to me." "Even better in the real than picture. Thrilled with these mats as a Christmas gift. Other people I have shown them to agree. They are not only beautiful but a beautiful quality. Good value for money." "Very high quality and a beautiful, unusual gift. Extremely quick delivery and very well packaged. Couldn't be happier!" 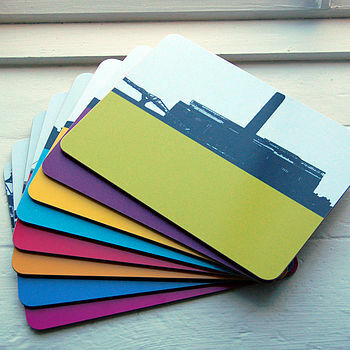 "These table mat & coasters are lovely. The colours are vibrant and the pictures look really cool. They are a Christmas present and I know they will get a lot of comments! Highly recommend"